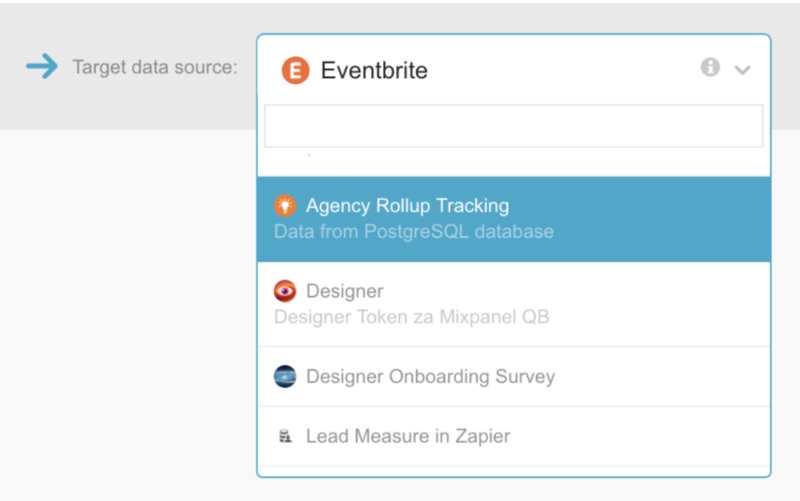 In this article, we will create a Custom Metric using EventBrite Query Builder to highlight key features and functionalities of the tool. 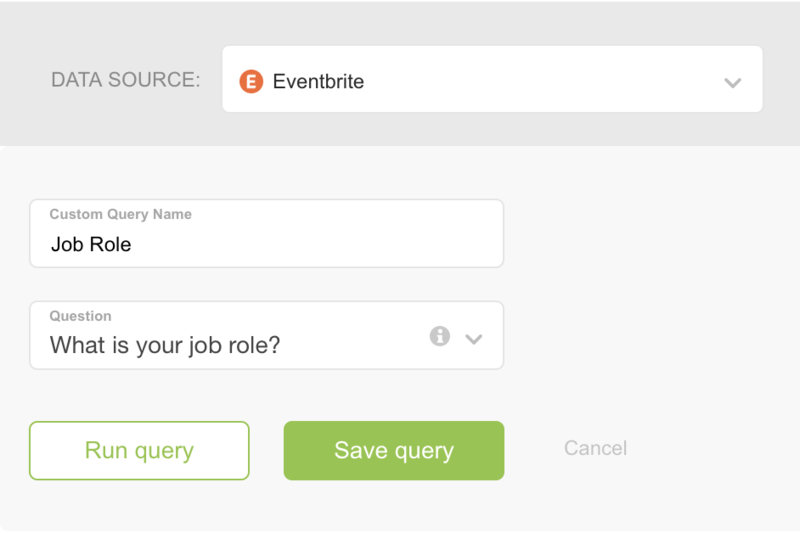 EventBrite Query Builder allows you to create Custom Metrics based off Questions currently tracked in your EventBrite account. First enter a Custom Query Name. When we're pulling this metric onto a Databoard, this is the metric name we will select. 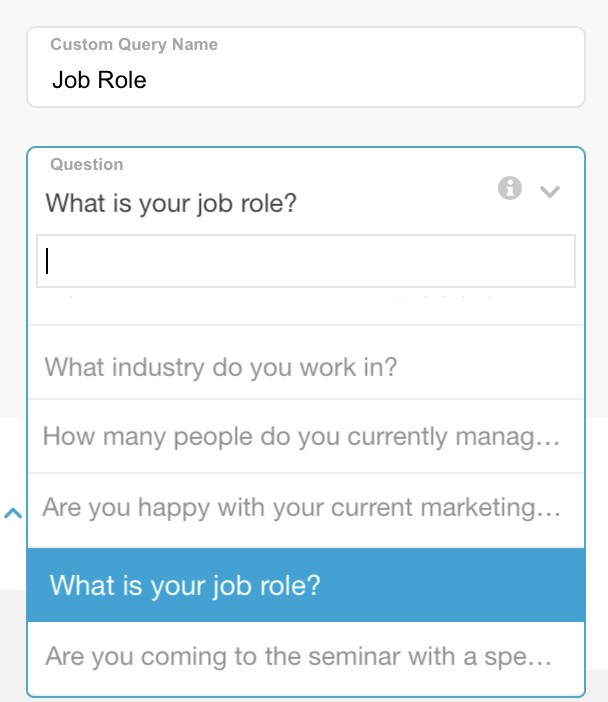 Next, select a Question from the dropdown list. When you have selected the desired Question, click Run query. This will generate a Data Preview of all Answers that were returned. In this case, we're viewing a list of all Job Roles. This is listed based on the "Answer Time," or the date and time that the Answer was submitted. At the bottom, you can see the total values bolded . When your query is ready, click Save query. This will create the new custom metric in the Databox system. By default, the custom metric will be added as a metric option under the selected EventBrite Account. In most cases, this should be left as is. 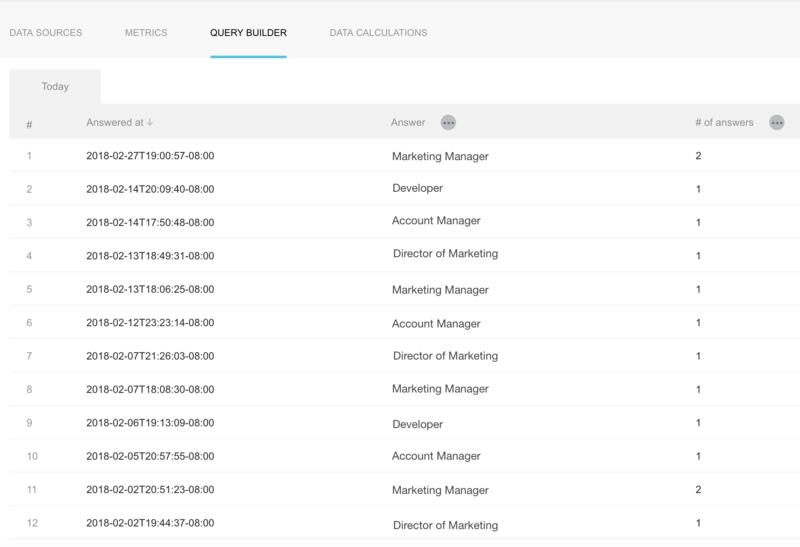 However, it is possible to change the target Data Source by clicking on Change target data source in the top right of the query screen. It is possible to rename Dimensions that are returned from the custom query. The best practice is to rename all Dimensions before saving the query. You can do this by clicking "..." next to "Dimension" and then selecting "Rename dimension"
This functionality is useful when you want to exclude one or more Dimensions from the custom query. For example, this would be useful if you want to show data for all Answers except for one. Click "..." next to "Dimension" and select "Skip dimension"
Click "..." next to "Value" and select "Round values." Enter the number of decimal places to be rounded to into field in popup, and values will be rounded accordingly.